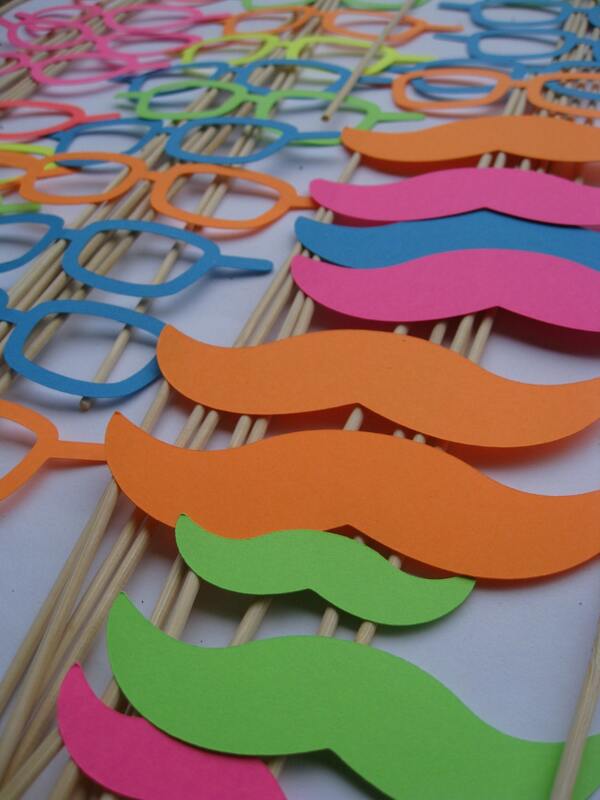 NEON Paper Mustache & Glasses Party Favors. Photo Prop. 60 Pieces. ANY COLOR Available. Custom Orders Welcome. 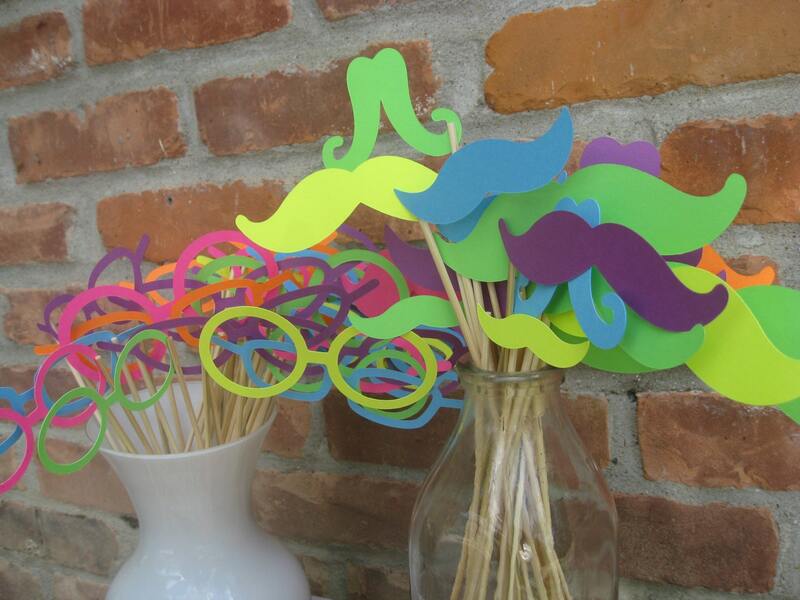 These paper mustaches and glasses are the perfect thing to make any event fun! 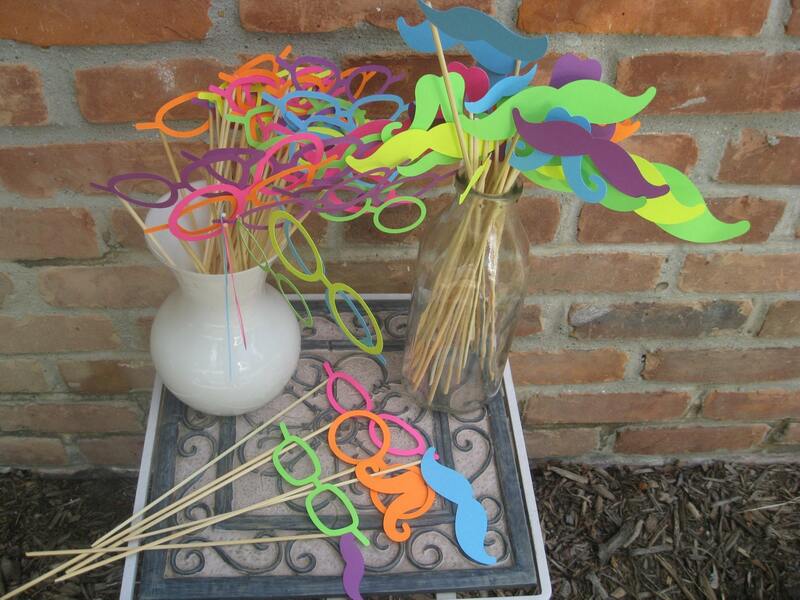 Give them as favors at a wedding, birthday party, shower, or other fun event. They make great photo props as well! Imagine everyone at your event wearing these for a photo. :) This listing is for 60 pieces. 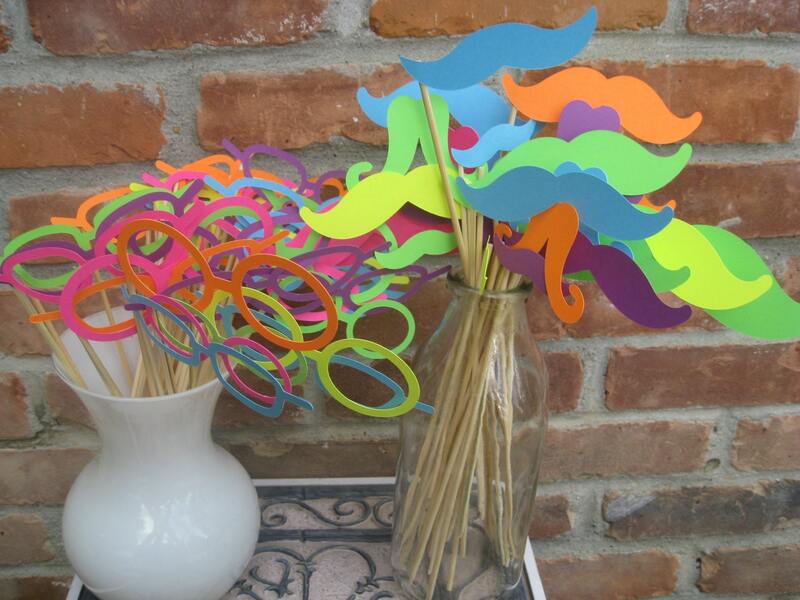 Included in this set are mustaches of various sizes and types (ranging from 3" to 7"), and glasses (boy, girl, and "John Lennon" glasses). 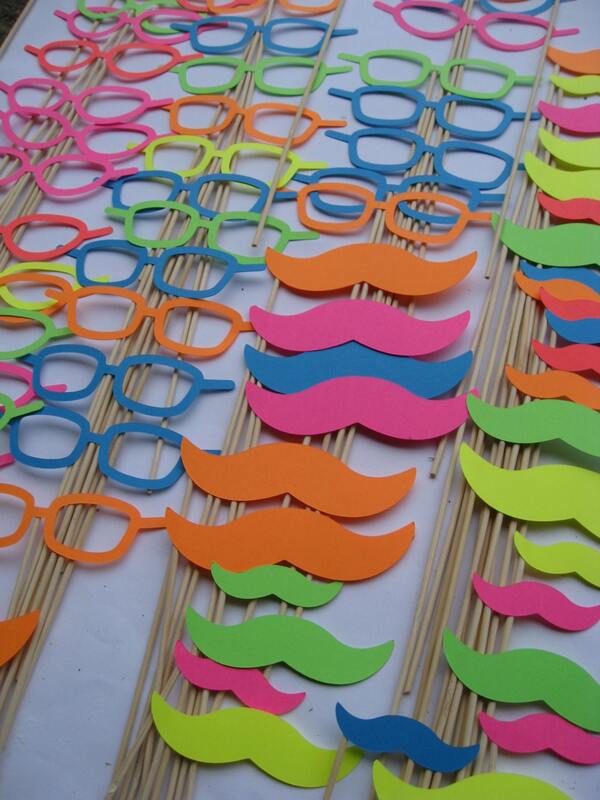 These are all made from neon colored cardstocks. I have included a photo of some samples of other colors. I can do these in ANY COLOR or color combination! If you don't see a color that you want, just ask. I can get it! I can also use patterned papers to make these. ***If you want this amount, but just in a different color, please leave me a note at checkout and I will send you the colors you would like!